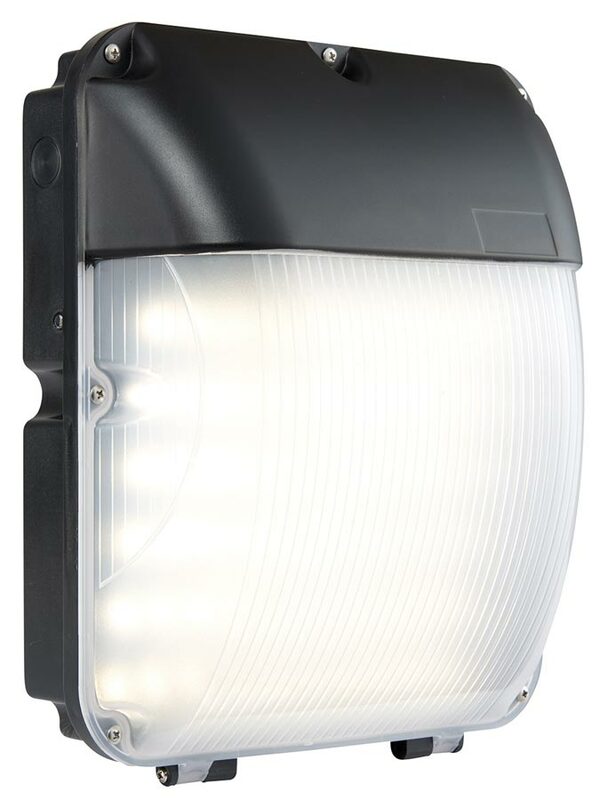 The Lucca matt black 30w LED outdoor bulkhead light, IP44, an attractive and functional commercial grade exterior wall light. This energy efficient fitting provides a very high 2200 lumen output of cool white light, ideal for security and safety. Fitted with an impact resistant prismatic opal polycarbonate diffuser. The fitting features two conduit entries, one on either side, plus cable entry in the base of the fitting. Constructed from die cast aluminium alloy and polycarbonate, each fitting is tough and hard-wearing. Also available with a photocell, please scroll down the page to view. This tough outdoor fitting will give many years of service and is perfect for illuminating a larger area during the hours of darkness.